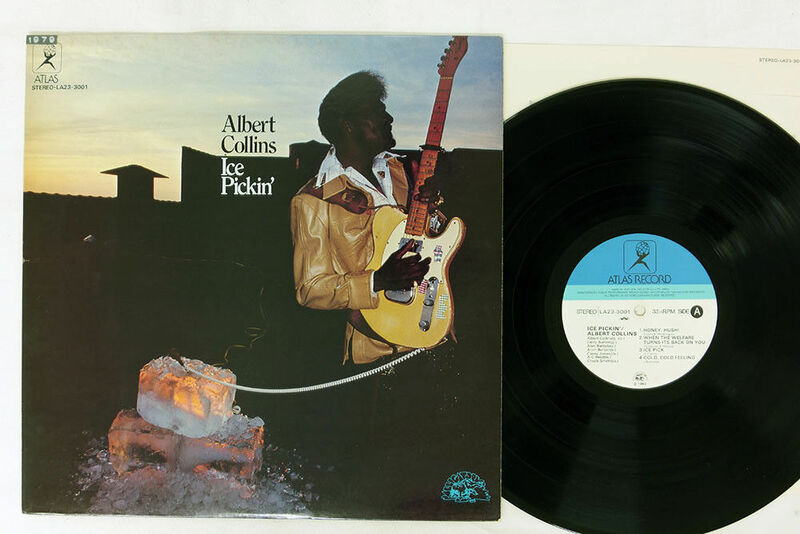 Check out these new and used Albert Collins vinyl records LPs for sale. Albert Collins was known for his muscular playing and fondness of altered tunings and capos. His long affiliation with the Fender Telecaster gave him the cool name The Master of the Telecaster. Collins, who passed away in 1993 from liver cancer, was a big influence to a generation of guitar players from Texas including Stevie Ray Vaughan and Jimmie Vaughan. Start your collection with his 1978 album Ice Pickin’ on the Alligator label.